Even though we habitually miss it, each month the City Daily Photo members have a theme day on which they publish photos representing a particular theme. As is traditional on 1 January, today's theme is "Photo of the year 2010"; most CDP bloggers take this annual opportunity to post what they or their readers believe to be their best or most beautiful photo of the preceding year. 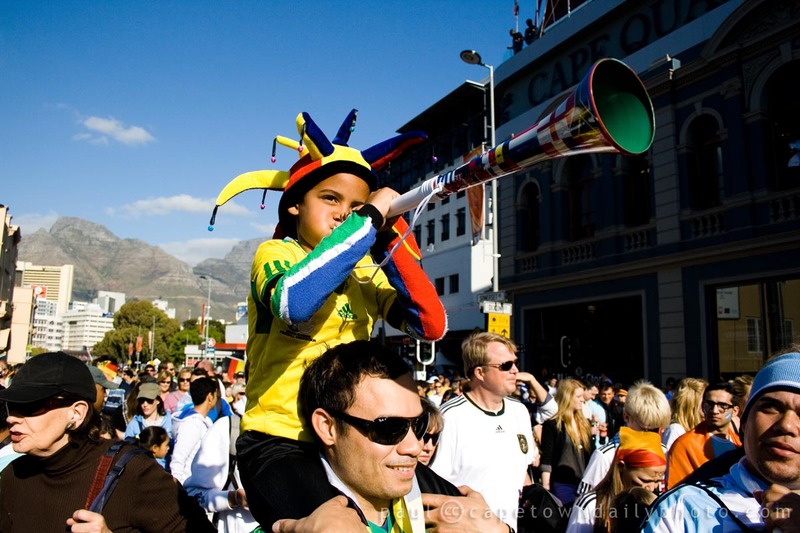 We've decided to interpret the theme a little differently and post not the best photo of the year, but rather a photo that we feel portrays the greatest highlight of our city's 2010 calendar: the Football World Cup that was held in South Africa during June and July. Visit our June and July archives to see more daily photos taken around the time of the World Cup. 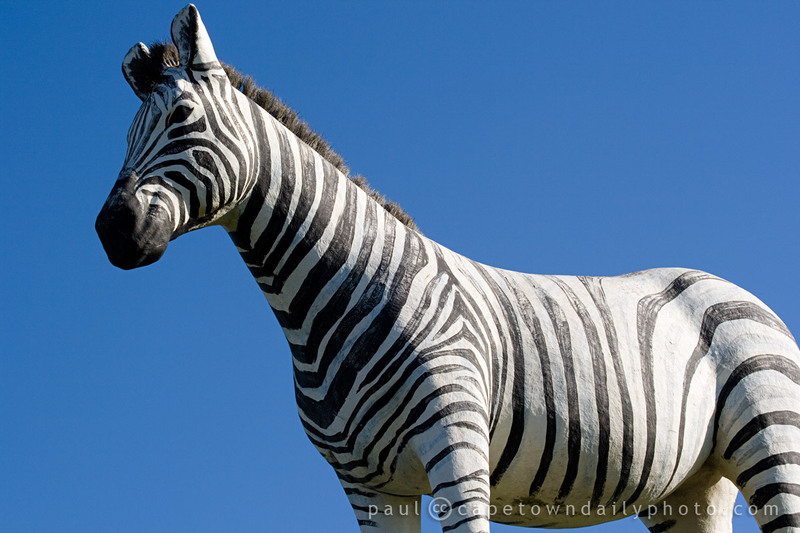 Posted in General and tagged celebration, theme day on Saturday, 1 January, 2011 by Paul. 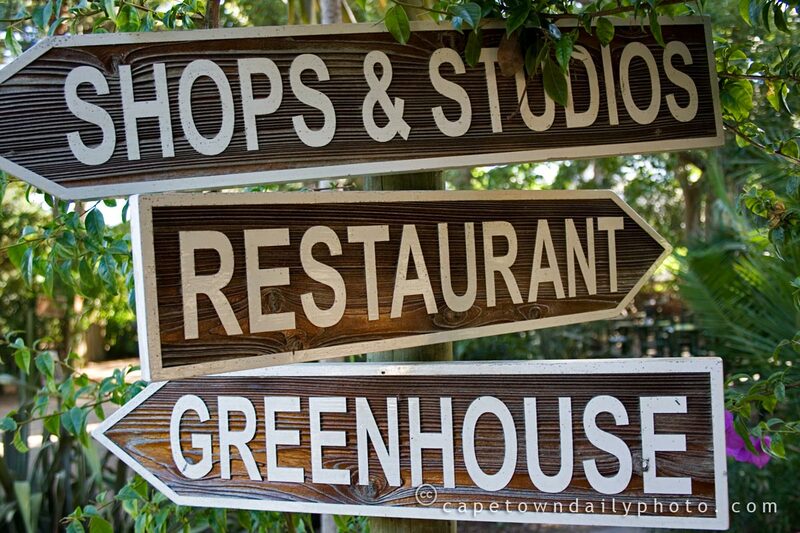 While Kerry-Anne watched another Standard Bank Pro20 cricket match at Sahara Park Newlands this afternoon, I spent some time reading IT strategy documents in between sips of coffee (and beer:)) at the little restaurant at Montebello. The document, discussing strategic direction, was coincidentally in line with today's City Daily Photo theme of Paths and Passages. I spotted this signpost just as I was leaving, and thought it would be an interesting take on the theme. Posted in Street photography and tagged sign, theme day on Sunday, 1 February, 2009 by Paul.